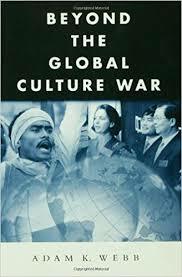 When I read Beyond the Global Culture War ten years ago it was interesting, but I was unconvinced. The author, Adam K Webb, has a peculiar political typology where the liberal democratic “end of history” is seen in a very negative light, part of an atomistic and dehumanizing trend across human history which has only come to prominence of late. A strange thing to someone reading in the mid-2000s is that Webb has good things to say about the Islamic Republic of Iran, and its vision for society. First, it is important to remember that the clerical elite which dominates Iran are not know-nothings. Much of Shia Islam explicitly integrates and accepts the validity of ancient Greek philosophy. In contrast, mainstream Sunnis have been skeptical of philosophy’s value since the time of Al-Ghazali. 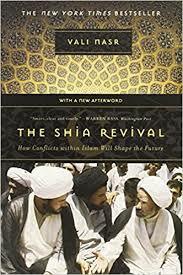 Shia Islam, therefore, preserves intellectual threads which date back to the 8th and 9th centuries of the Abbassid Caliphate, which have become attenuated within Sunni Islam. Though Sunni Islam is not anti-intellectual per se, it is not surprising that the most austere and anti-humanistic sects, such as Salafism, come out of that tradition (in contrast, extreme Shiism gave rise to the Bahá’í religion). Khomeini studied and admired both Plato and Aristotle. Many people have seen similarities between the novel republican-theocratic hybrid state of the Islamic Republic and Plato’s Republic. Webb pointed out that the Islamic Republic was led by a ruling class of clerics who had a vision of the good for their society. This, in contrast to the regnant neoliberal consumer capitalism promoted by the likes of Thomas Friedman in a vulgar fashion and Francis Fukuyama in a more implicit and subtle manner. In Beyond the Global Culture War Webb imagines a resurgent movement of nationalisms based around public virtue and a vision of the “good society” which is more than just the sum of capitalist transactions between consenting adults. He imagined that despite their differences, Muslim, Buddhists, Christians, Confucians, and Hindus, could all come together as one against secular neoliberalism. After 40 years at the helm as I am writing this the virtuous elite of Iran is under serious stress, in large part because of individual corruption at the elite levels, as well their commitment of the body politic to international adventurism. Even the best-laid plans and aims succumb to a diminishment of enthusiasm and zeal. And yet nevertheless some of the theses of Beyond the Global Culture War are more relevant now than they were when the book was written. First, the neoliberal order of infinite plentitude and a universal middle class collapsed in the financial crisis of 2008. Though the global order continues on neoliberal precepts, it is more a matter of not knowing what the alternative could be, rather than genuine enthusiasm. Second, nationalism and localist movements which cut against the grain of global democratic liberalism have become vigorous. China shows no signs of embracing democratic liberalism, India is home to a Hindu nationalist movement that has the reins of power, and right-wing political movements are on the march in Europe. Third, a genuine international global elite has taken on greater solidity since the financial crisis, because they understand that their interests are more important in concert than the nation-states which they are notionally citizens of. Consider Rupert Murdoch. Born an Australian, but now an American citizen. He has media properties of note across many nations. He has daughters who are half ethnically Chinese, granddaughters who are part Ghanaian, and other grandchildren who are being raised British (and are descendants of Sigmund Freud!). Murdoch may be an extreme case, but his life and ties are not atypical for the global oligarchic class. Below them is the global professional caste which moves between nations as needed, and views themselves citizens of the world. 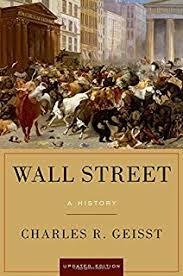 The banker in New York arguably has more in common in terms of public and private interests with the banker in London or Shanghai than they do with the citizens who reside in the hinterlands of the nation-states in which they live. 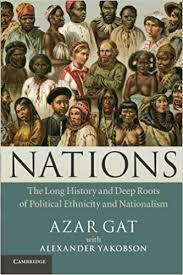 And yet nation-states exist, and nationalism is robust through popular democratic means. Just as Franklin Delano Roosevelt was viewed as a traitor to the patrician class from which he came, so some demagogues will come out of the oligarchic class to elevate the importance of the nation above their own class interests. But perhaps India gives a better sense of nationalism and its tension with its global elite: Hindu nationalism is rooted in upper caste middle-class Indians, but their origins are often sub-elite or petite bourgeois. They are often less fluent in international English, as opposed to the nascent national language, Hindi. I am not one who believes that the nation-states were “invented” by the French in the last decade of the 18th century. But, the nation-state was given more salience and centrality in the 19th century, as multi-ethnic monarchies were seen as archaic and outmoded, and liberal nationalism captured the spirit of the day. The trend became international. Though some nation-states were artificial and have failed their original promise, many have come to become part of the international order. The nation-state is now part of our diplomatic heritage, and there is no movement for “world government” in any concrete sense. Though there are international governmental institutions, their solidity is similar to that of taxonomic ranks above that of species. They have some reality, but they’re not nearly as relevant or distinct as species. Over the next few years, we will start to see how the nation-state, and the resurgent nationalisms, deal with the reality of a supra-nation without a state, the cosmopolitan global overclass. At the pinnacle of the global overclass are the oligarchs. This group has always been of internationalist bent due to their reliance or positions in finance and trade. 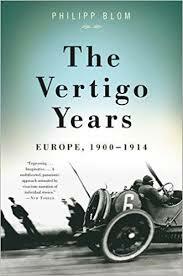 But in the past few centuries, national patriotism was a feature present even among oligarchs. To some extent, the national and personal interest were comingled. The House of Morgan did not intervene to stabilize the American economy purely out of patriotism. But the fiscal health of the United States was seen as necessarily tied to the health of the House of Morgan. And it is also true that during the great age of globalization before 1914 this class was still characterized by a powerful robust nationalist ethos which would be unthinkable today. Tom Friedman was wrong. The world is not flat. The world is multi-textured. In the United States Obama did not herald a post-racial era, but a more racial era! And yet there is a shadow across the world of a global class which is operates in a flat neoliberal landscape where the acid of capitalism has eaten away at local national affinities and affiliations in anything beyond a legal a sense. The dream of lives on for some, and those “some” count a lot more individual than the multitudes who have soured on the universal global order.